Physical fitness is essential for good health and well being! However, good health and physical fitness takes commitment and dedication. More people are opting for home fitness machines every day and for good reason. Home fitness machines are affordable, last for many years, and are great for exercising without a gym membership. 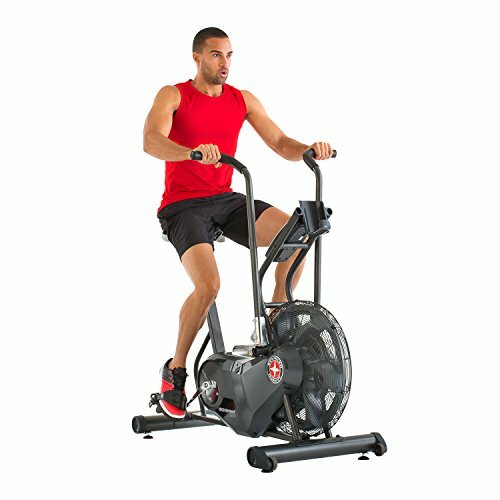 You asked for my opinion on the the best fitness machine for home use. Here’s my top 2 choices and why I think they are the best home options for overall fitness. I’ve found that most people don’t really care for a full blown gym in their home. Instead they rely on one or two of what they consider the best fitness machines to maintain their exercise routine. There seems to be no end to the choices. Everything from Bowflex machines to Twisters. However, I think when it comes to choosing the best machine I need something capable of an overall workout. If you’re not into body building and want to get fit — check out my two top alternatives to going to the gym. An exercise bike is my favorite way to get cardio without ever leaving home. My own Schwinn Airdyne is over 10 years old and still does the job every other day. This exercise bike provides a great workout for my entire body as the handles move back and forth in unison with my legs. I turn my palms down for half of the ride with the focus on shoulders and chest. Then I turn palms up for the other half to focus on my biceps and upper arms. Wind resistance puts you in control of workout intensity. Pump it up or take a relaxing spin; either way works out your entire body. Because you’re not focused on only one area of your body, exercise bikes help maintain joint, muscle, tendon, and ligament flexibility and ease of movement. A full body workout means keeping full body strength. Most any cardio exercise is great for endurance and staying fit with a stationary bike is no different. It’s hard to beat jogging or walking when it comes to a fit and healthy heart, and this fitness machine can help you with blood pressure and lowering blood pressure. Most treadmills will come with a heart rate monitor to ensure you’re giving your heart a good workout while exercising. Walking and running are some of the best and most natural exercise we can get. Tread mills let you get this aerobic exercise regardless of the weather conditions with no safety concerns. Many outdoor runners and joggers have a home treadmill just for inclement weather. Treadmills can be used for HIIT training with intermittent high speed and intensity workouts. Learn how to pace yourself, and especially good for beginner runners. Treadmill workouts for fitness are much easier on your joints than running on streets and tracks for a couple of reasons. Treadmills offer a much softer, more even, and less treacherous surface to run on than asphalt streets. Like the Exercise bike, the treadmill will definitely help you stay flexible. In fact treadmills are a great option for bad knees and arthritis, because of the padded surfaces and controlled exercise routines. 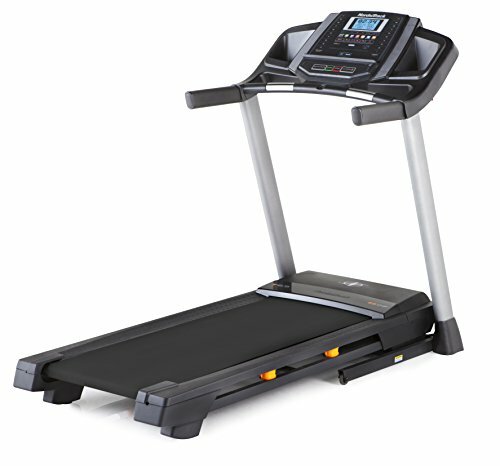 Adding incline to treadmills can really get you to burning calories off for weight loss. Many treadmills will provide data about your calorie burn right on the LCD screen. To be honest with you, there are many affordable exercise machines that will really give you a great workout at home. Here’s a post with 10 cardio machines that I reviewed. My first choice when it comes to best all around fitness machine for home is for sure the Airdyne Exercise Bike. It’s important to know that there are at least 5 elements of physical fitness. When we consider which home machine is the best we need to see which one can adequately cover most of these 5 elements, don’t we? Strength is what you’ll need to lift something, anything, even the garbage bag. Without strength to lift and carry something you can’t consider yourself physically fit. You can increase strength with a multitude of techniques that includes fitness machines, doing push ups even if you do them from your knees, regular brisk walking, using a gallon of milk as a dumbell, etc. Some people are interested in building strength to lift more weight at the gym, others just need strength for everyday chores. You can find fitness machines to help you build strength at home. Endurance is closely related to strength. Strength is the ability to lift an object and carry it. Endurance is how far you can carry the object, or how long you can continue any physical task. This is where the best cardio exercise machines really shine at home. Cardio exercise machines are built to increase strength and endurance at the same time. The main components of your cardiovascular system are your lungs, heart, and blood vessels. Without a healthy and fit cardiovascular system you can’t build strength or endurance. These are the elements that get the oxygen and nutrients to your muscles and organs to sustain physical fitness. Any exercise you do at home will need to include cardio. Believe it or not we all hit our fitness peak in our 2os and 30s, and one of the first things to start leaving is flexibility. Over the period of our work lives we start losing flexibility mainly in our hips, hamstrings, and lower back. Without a conscious effort to keep muscles, joints, ligaments, and tendons elastic and flexible it gets more and more difficult to stay active as you age. Even though pure weight training has many physical fitness advantages you need a machine that concentrates on your entire range of movement. Maintaining a healthy weight is what I believe to be the core of physical fitness, and keeping a healthy body fat composition seems to get more difficult each year. In fact obesity is at epidemic proportions all over the US. Most any home exercise machine is great for keeping you at your best weight. However none that I know of will overcome habitual bad eating habits? We need regular physical exercise to keep our body, mind, and spirit fit and healthy. Exercise can drastically reduce the risk of coronary disease, lower blood pressure and control cholesterol. While it’s doing that, exercise helps you lose and control your weight, cut the risk of diabetes, certain types of cancer and keep your moving if you suffer with arthritis. So, without a doubt the best fitness machine for home is going to be the one you can commit to use, right? What To Do For Exercise?